We have donated 2,500 notebooks to teachers from Wat Kathum Ser Pa School, Bangkok, for distribution to their students, on January 29, 2008. Khun Nartrudee Siwabut, Head of Corporate Marketing & Communication, TISCO Bank, presented 8 used computers, notebooks and daily knowledge posters to teachers from Nernlard Wittaya School, Kalasin, on January 28, 2008. 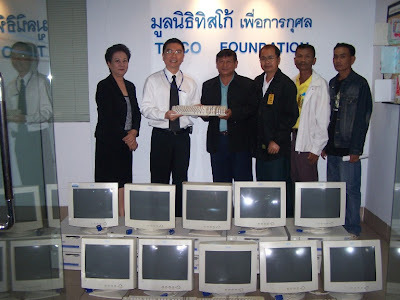 Khun Pairat Srivilairit, Head of Internal Audit, TISCO Bank, presented 10 used computers, notebooks and daily knowledge posters to teachers from Nong Ben Charoenwittaya School, Chaiyaphum, on January 22, 2008. 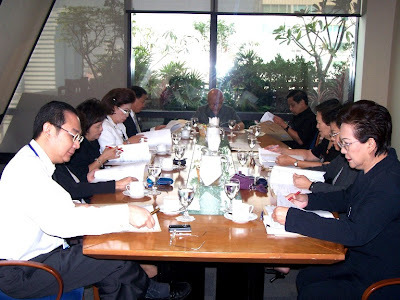 The First TISCO Foundation Committee’s Meeting for the year 2008 was held on January 21, 2008. 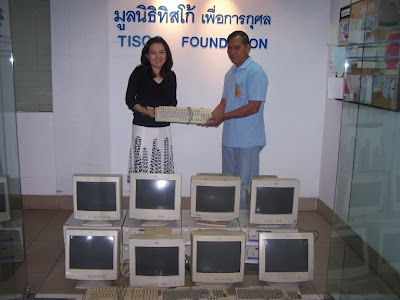 TISCO Foundation has donated gifts to students on the occasion of children’s day in Bangkok and provinces. These gifts are sponsored by staffs Of TISCO Group. 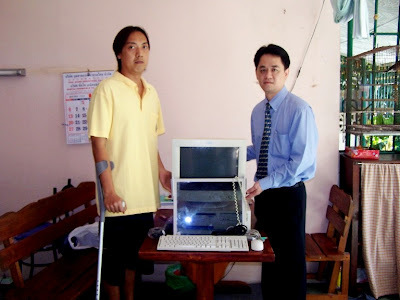 Khun Wanchai Thongthanoppakun, Head Of Personnel & Administration, HIWAY, and Working Group Committee, presented one used computer to Khun Korakrit Waiyarit at Bang Khun Tien District on December 28, 2007. Khun Duangrat Kittivittayakul, Deputy Managing Director/Head of Investment Operations/Head of Fund Operations of TISCO Asset Management and Director of TISCO Foundation, presented a cheque to Khun Srisooda Boon-Long, Director , for donation to TISCO Foundation on December 27, 2007.